IWF 2018 - which has been sold out for months - impressed with a strong opening day. 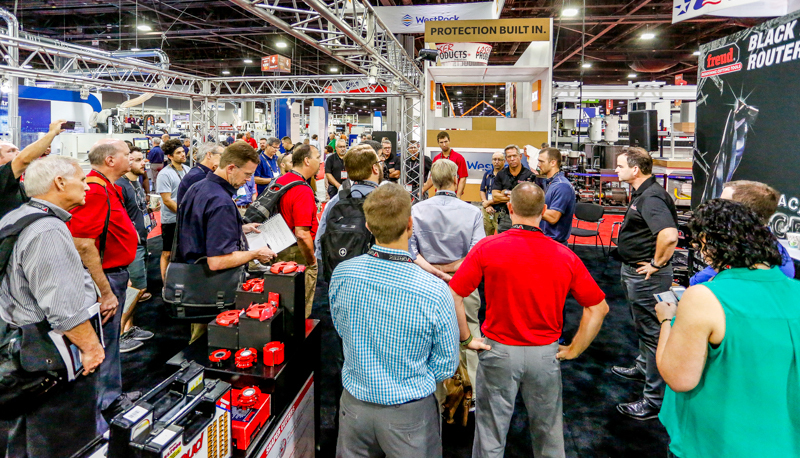 IWF Atlanta, North America’s largest woodworking trade show, got off to a strong start on Wednesday, Aug.22, with big crowds and more than 1,000 exhibitors eager to show off their products and services in nearly one million square feet of exhibition space. And with attendance expected to top 30,000, this year’s show is expected to be the largest since 2008. “It was a great day for IWF,” said Jim Wulfekuhle, IWF’s vice president sales & marketing. IWF – which continues until Saturday, Aug. 25 – is looking really good and organizers are expecting this to be the strongest show in a decade. IWF offers woodworking professionals one venue to see everything they need, from raw materials, supplies, and finishing accessories to woodworking and material processing machinery hardware. The show will also feature the newest products, trends, and solutions for wood, plastic and other related material processing industries. And there is also an extensive education and track offering more than 70 individual sessions during the show as well as countless live sessions and demonstrations on the show floor.